It is a rare occasion when such a fine motor sailing yacht becomes available and “ATA Marie” is such a find. The current owner is exacting & knowledgeable, setting her up for ocean voyaging regardless of cost. She is a very capable & comfortable blue water sailing cruiser in great condition, whom is quite content at sea. The quality of the Nordhavn build is obvious in the MS56. However, it's the Bristol condition of "ATA Marie" & the attention to detail in her systems that sets her apart from all the rest. 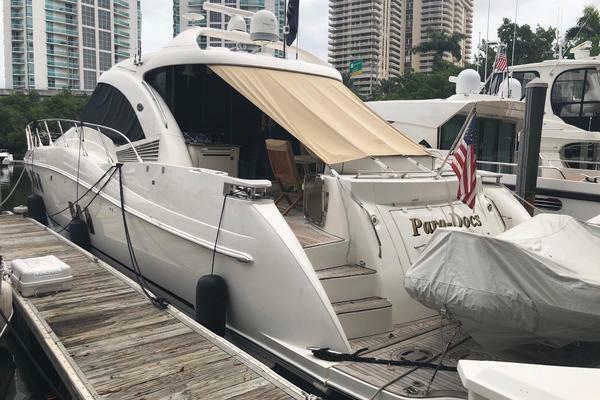 United Yacht Sales New Jersey would love to guide you through a personal showing of this 56' Nordhavn 56 Motorsailer 2010. This yacht for sale is located in Enroute to Newport, Rhode Island and priced at $1,100,000. For a showing please contact us by filling out the form on this page and we will get back to you shortly! Main engine oil change & filter, all fuel filters, service cooling system & new coolant, new zincs, etc.